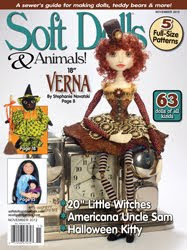 The Sassy Pack Rat: A Few Mini Plush, A WIP and A Treasury. I decided to do some mini plush of my large Holiday Plush Dolls. 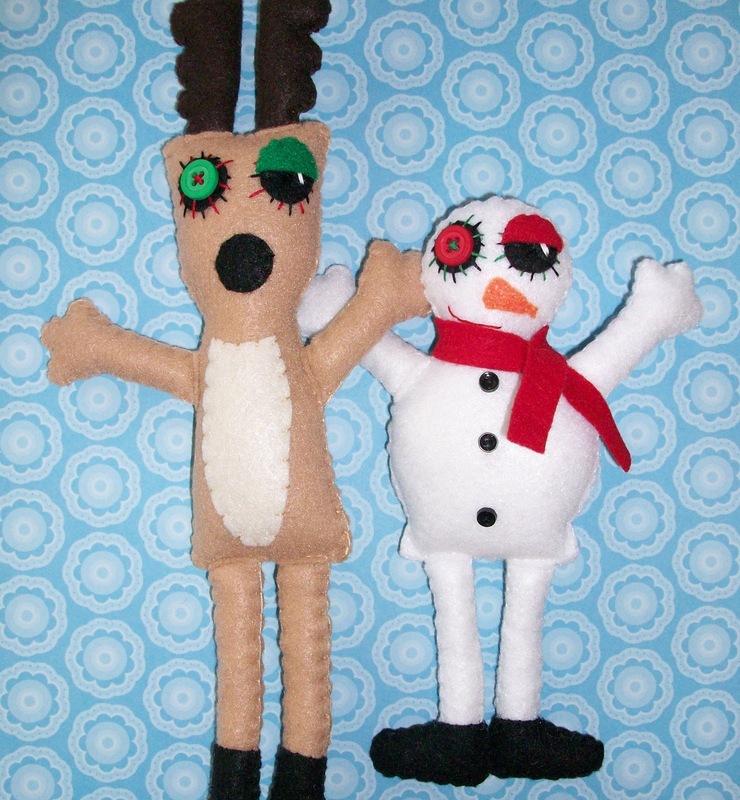 So far I have a Reindeer and a Snowman. Not sure how many I'll be able to do as I have 3 large time consuming custom orders to make this week. So if you want one grab it now or custom order one so you'll be sure to get it. As always I have owls. I think I'm only making minis right now because of time. 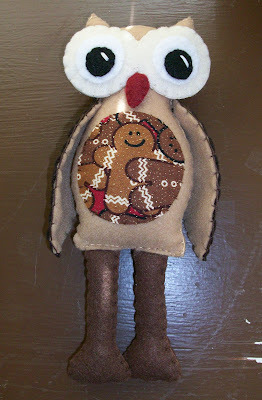 Here's Ginger the sweet Gingerbread owl. I have several others in production and they are all Winter Holiday owls (not Christmas) that anyone might like to decorate with. 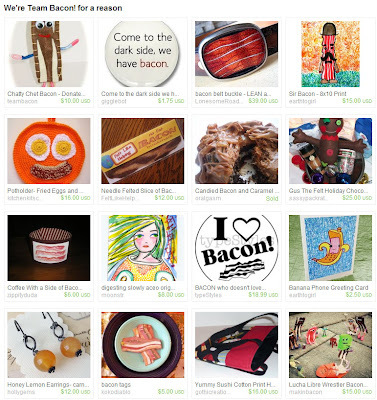 My Large Plush Chocolate Gingerbread Man is featured on a fun unusual foodish type treasury by my etsy team Team Bacon. 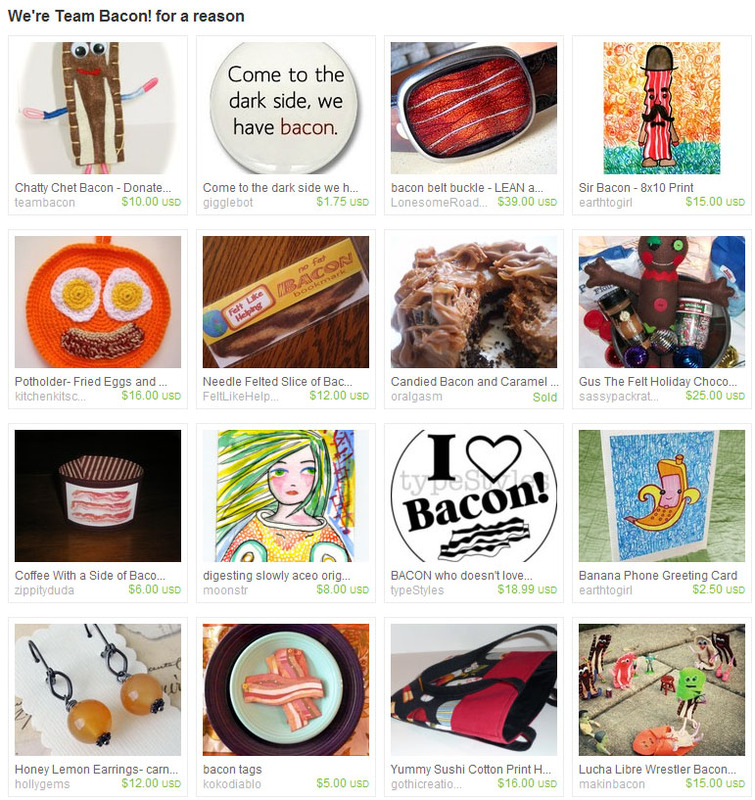 Working like crazy to finish the 3 prizes for my 2 Year Blog Anniversary Giveaway. Details on Friday! I have 2 almost done. Do you have any thing you'd like to see for the 3rd one? These are cute! 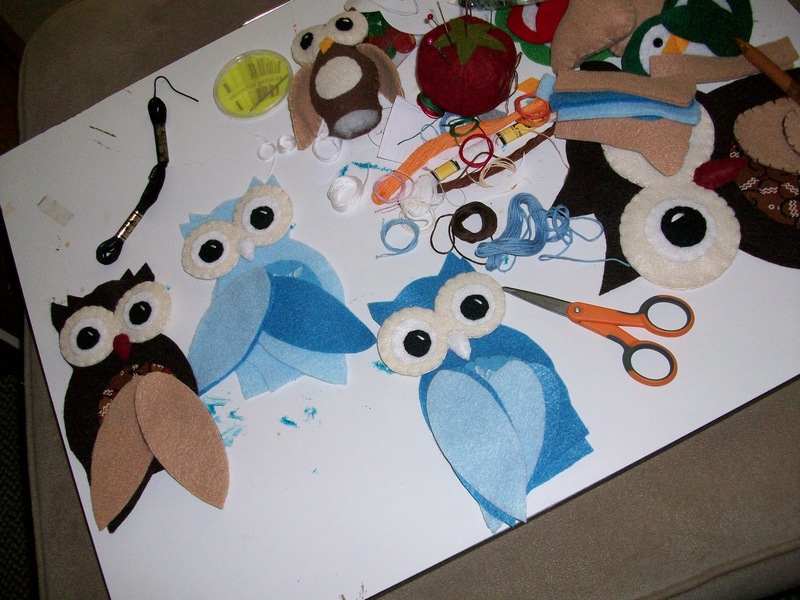 I am looking forward to seeing that blue owl completed! What super cute creations you make! !